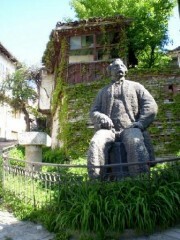 In the old part of Veliko Tarnovo district "Varusha" is the birthplace of the famous Bulgarian poet and writer Petko Rachev Slaveykov. Restored in 1971, today the house is a museum, but before it was erected a monument made of Blagoj Iliev. Born on 11.17.1827 in the family Racho Kazandjiata in Veliko Tarnovo, Petko Slaveikov is known as one of the founders of the modern literary language. Influenced by the song of nightingales later changed his surname to Slavejkov. By 1843. He worked as a teacher in Veliko Tarnovo, but more than 20 years he was a teacher in other towns and villages. 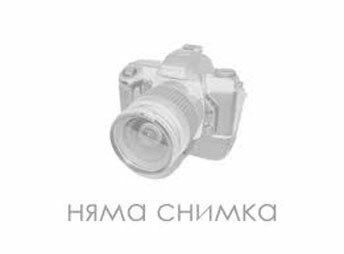 The first books of Petko Slaveykov - '' mixed bunch '', '' songbook '', '' Basnenik '' - were issued in 1952 in Constantinople, he issued various newspapers and magazines: '' Bagpipes '' '' Macedonia '', '' Ruzica '' '' Community Center '' and many others. Slavejkov was translator, linguist, folklorist, author of the first textbooks and writing and children's literature. An active participant in the political life of Bulgaria as a leader in the struggle for an independent Bulgarian church. He participated in the Russo-Turkish War and was elected to the Constituent Assembly after the Liberation of Bulgaria. As a politician takes part in the drafting of the Turnovo Constitution. In 1880 chairman of the National Assembly and Minister in several cabinets. In 1895, he died in Sofia. The house-museum has an interesting documentary exhibition related to the life of Petko Slaveykov. The first exhibition was made in 1955 for the 60th anniversary of his death. On 21.12.1971 years. The district makes another museum exhibition in his memory. To visit and look at the house-museum need to do advance a day earlier.